Mike and Cory return to the Rise Up Reader Podcast after the Falcons heart-stopping Week 3 win over the Detroit Lions to break down the Birds’ upcoming bout with the Buffalo Bills. The guys are also joined by Falcons fan Josh Gremminger, who was at the Detroit game and provides insight to his afternoon watching the Falcons. Don’t Pay the Bills: Mike and Cory break down the 2-1 Buffalo Bills, who have one of the game’s best running backs in LeSean McCoy and a growing defense led by DT Marcell Dareus and DE Jerry Hughes, and how the Falcons match up. All in for Allen/Crazy for Kazee: The guys discuss FS Ricardo Allen, who is likely to miss the Bills game with a concussion, and his importance to the defense. They also talk about how rookie FS Damontae Kazee could perform in his stead. A Stampede of Predictions: Mike and Cory throw out their thoughts on how the team will come out of Sunday, with a win putting them at 4-0 going in to the bye week. 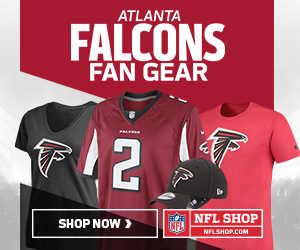 Introducing Falcons Fan Josh Gremminger: Rise Up Reader/Falcons fan Josh Gremminger joins the podcast to discuss his experience attending the Falcons’ nail-biting win over the Lions and what the atmosphere was like — particularly during the final moments. You can follow Josh on Twitter at @madskilz15. And, you can follow Mike Aprile on Twitter at @RiseUpReader and Cory at @CoryWoodroof47. Give us a “subscribe” on iTunes, and be sure to leave us 5-star review! We’ll give you a Twitter shout-out with your review. Programming Note: Mike and Cory are now hosting The Falcoholic Post-Game Show this season, presented by Rise Up Reader. Subscribe to The Falcoholic on iTunes to give it a listen, or give the newest episode a listen here.